1 Is it possible to wash soft toys in a typewriter? 2 What toys can not be washed in a typewriter? 3 How to wash soft toys in a typewriter? 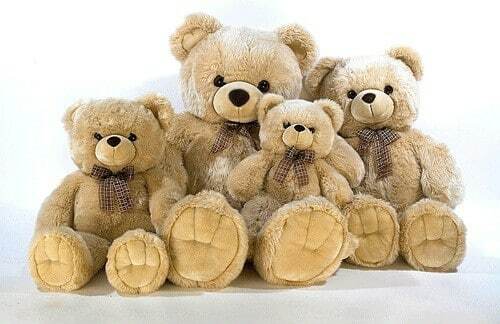 In the pile of soft toys, pathogenic bacteria multiply quickly, causing various serious illnesses, so it is necessary to wash soft toys, and this should be done regularly. Is it possible to wash soft toys in a typewriter? Is it possible to wash soft toys in a typewriter? Many mothers ask this question when it comes time to wash baby clothes. Before washing, carefully read all the labels on the toy. Perhaps the manufacturer indicates on them how to wash the product. If the toy is glued, and not sewn eyes, spout and other small parts, then it will have to be washed only by hand. Carefully inspect the plush beast - if the toy is already old with flimsy seams, then it simply will not survive the washing in a typewriter. Usually on every soft animal there is a tag on which it is written whether it is possible to wash a toy in a typewriter. The next point to which you should pay attention is the packing of the product. If inside the animal buckwheat husk or sawdust, then washing it in the car is strictly prohibited. What toys can not be washed in a typewriter? Toys that are made from purely natural fabrics. If the animal is made of flax, pure wool or silk, then you will have to stretch it only with your hands and very carefully. Products that have mechanisms and batteries inside. All talking, singing and dancing toys must be cleaned by hand with a brush. If the soft friend of your baby is generously embroidered with beads, beads or rhinestones, then it is also better to gently stretch it by hand. Well and, of course, a very large toy cannot be washed in a car. When the question is, whether it is possible to erase soft toys in a typewriter found out, we must proceed directly to the wash itself. How to wash soft toys in a typewriter? In order to wash the soft toys in a typewriter without a loss, you need to choose a delicate mode or hand wash for delicate things. For washing children's dolls, use only children's powders and gels. It is undesirable to fill the air conditioner in the machine - even if the fluffy animals become softer and more pleasant to the touch, the air conditioner can become a strong allergen for the baby. At what temperature conditions should I wash soft toys in a typewriter? This question is very important, because the product can simply sit down and be deformed. The temperature should be set at about 30 degrees, however, it is necessary to take into account the fact that dust mites that live in a pile of fabric are destroyed only at temperature conditions around 60 degrees, therefore, if the toy is not made of contrasting fabrics, then it is better to set the specified temperature. If you still want to make the animals softer, then when rinsing you can add a little special baby conditioner that fluffs the pile. It is advisable to rinse children's things a couple of times, so that powder is completely removed from the filler and fabric. Be prepared for the fact that after the machine wash the shape of the toy may change slightly. How to properly prepare and wash a soft toy with a mechanism in a typewriter machine so that it does not lose shape and does not deteriorate? To do this, you need to examine the animal - surely there is somewhere on it somewhere a hidden pocket, from which the mechanism goes. If there is no pocket, then it is necessary to carefully pull the doll along the seam and take out the block, and then be sure to sweep the seam with a thread so that it does not break even more during washing. How to wash large soft toys in a typewriter? If the doll is very large and you need to stretch it, then unlock your head, arms and legs. Sweep the seams well, so that they do not spread in the typewriter. Some mothers from the large toys get filler, and wash everything separately. After drying large animals gently sew. When washing animals in a typewriter, it is better not to press them. After rinsing, the product is taken out and slightly squeezed by hand, trying not to spoil its shape. Then the doll is wrapped in a terry towel, well absorbing moisture from the pile. 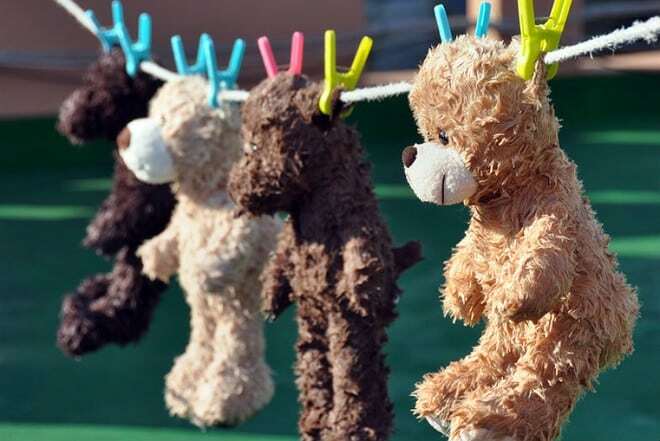 After that, the toys are dried naturally in a natural way away from the batteries. Taking the doll out of the car, lay it on a flat, horizontal surface. It is advisable to dry the product in the fresh air so that no stagnant smell appears in it. When water is drained, the toy can be hung in a well-ventilated place, for example, on a balcony. If the toy is sewn of natural fabrics, for example, pure wool, then you can not hang it vertically, otherwise it is deformed. Knitted animals from wool dry only on horizontal, smooth surfaces, while at the same time spreading out all the parts of the product so that it retains its shape. It is best to put such a doll on a towel. When the product is completely dry, brush the pile with a brush or a massage comb, in case there are lumps on it, then simply separate them with a toothpick. It will help the vacuum cleaner. Even old dust can be removed with a vacuum cleaner. 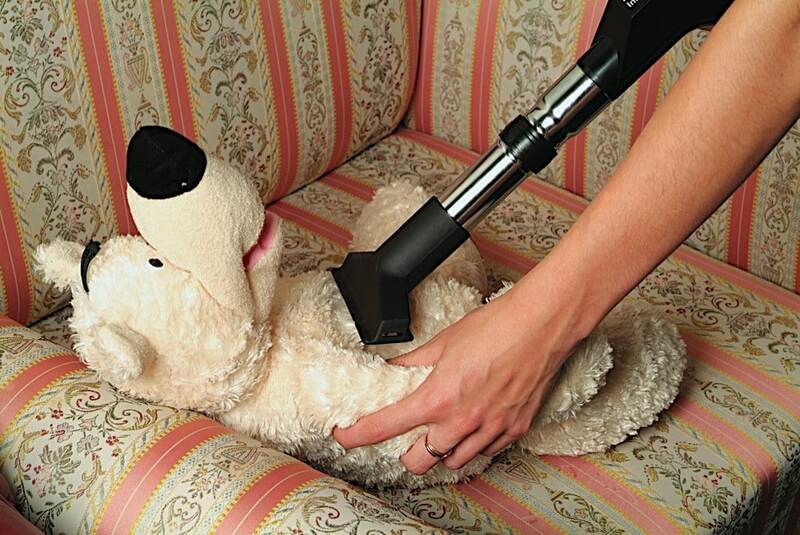 You will need a nozzle for cleaning upholstered furniture. The vacuum cleaner should be turned on at minimum power, and then carefully handle the entire doll. You can clean the product with soda or potato starch. To do this, take a plastic bag the size of the animal, and poured into it about 100 grams of soda or starch. The larger the toy, the more money you need to pour. The doll is placed in a bag, tightly tied, and shakes well for about 5-7 minutes. after that, with the pile, shake off the soda residue, and once again clean the toy with a clothes brush. 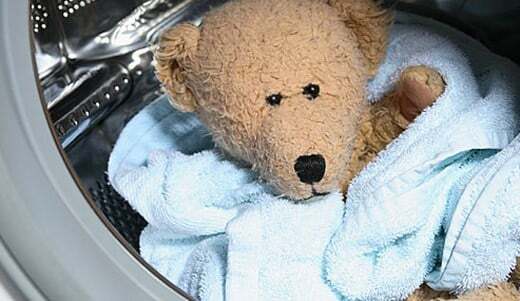 If your child’s bland friend simply does not survive the wash, try making it safe by cold disinfection. The old-time toys of our grandmothers would surely have become a refuge for a horde of mites if it were not for this method of disinfection. Kill ticks will help low temperature. The product must be put in a bag and placed in the freezer for at least 12 hours. If the size of the doll does not allow, then in the winter it must be taken out to the balcony in sub-zero temperatures. After that, the toy is brushed to remove dust and dirt, and returned to the small owner. Children's soft toys must be washed and cleaned, and then they will not cause allergies in the baby or a haven for dust mites. In the fluffy pile of a beautiful doll there can be many dangers for the crumbs, and therefore every effort should be made to make the toy safe.